Closed today to allow the more berries to ripen. Our hours this week will be Thursday, Friday, Saturday, and Sunday, 9 am to 6 pm. What is mummy berry? 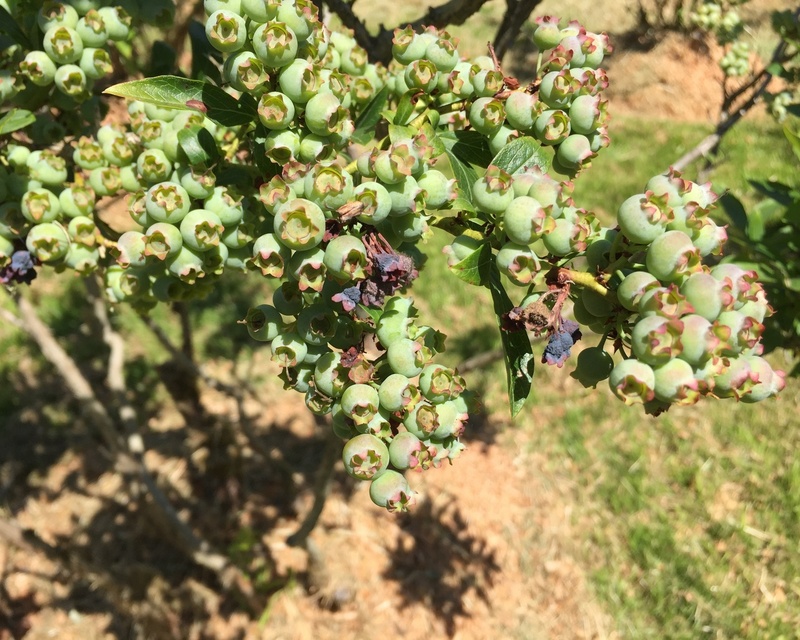 The short answer is that it's a fungus that infects blueberry bushes, turning the berries into dried husks. You see clusters of mummy berry on the bush in the photo. We spray the fields in the spring to prevent mummy berry, but it's difficult to control, especially since it loves cool wet springs like we had this year. If you see any of these on your bushes at home, throw them in the trash--don't compost them.